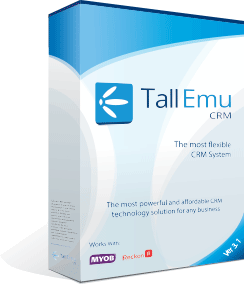 Tall Emu CRM uses the AdWords API in order to get campaign data into CRM. From here it is possible to create consolidated reports based on Google data (from AdWords and Google Analytics) or to add Sales & revenue data. This is useful because your Google campaigns may only record leads it generates but the CRM knows if they turn into a sale and what the revenue was. Even if the sale happen offline we are able to attribute this back to the AdWords campaign and report on it.